Screenwriter Jyoti Kapoor was in for a shock last week, when her name was inexplicably removed from the nominations of Best Story for the Filmfare Awards – a nomination she had shared with writers Akshat Ghildial and Shantanu Srivastava for the film Badhaai Ho, which met with unprecedented commercial and critical success last year. In an interview with Firstpost, Kapoor claims that her struggle for the rightful credit to the story of the film has been a long-standing ordeal. Let me begin by asking you about Hum Do Hamaare Chaar. When and how did you happen to write this story? I wrote and registered the story of Hum Do Hamaare Chaar with The Screenwriters Association on 24 March, 2015. The premise of the story goes like this — "Chawla siblings, busy in their own lives, are summoned to their hometown in Haryana when their middle-aged parents give them the shock of their lives. The not-so-good news is that they got accidentally pregnant, one of those rare pregnancies, and need their kids to be around to deal with this rather tricky crisis. The three siblings descend upon their sleepy hometown and try to fix the fragile situation and in the process end up fixing their own lives and finding the long-lost harmony in their family." I shared the registered story with Junglee Pictures, and on the basis of my story, they hired me to develop the screenplay on 27 April, 2015. At what point of time did you learn that another film was being planned with a story that was similar to Hum Do Hamaare Chaar? I was developing the screenplay of Hum Do Hamaare Chaar for almost a year with Junglee Pictures. Around January 2016, when Aman Gill, the Development Head at that time, moved to another studio, weird things started to happen. 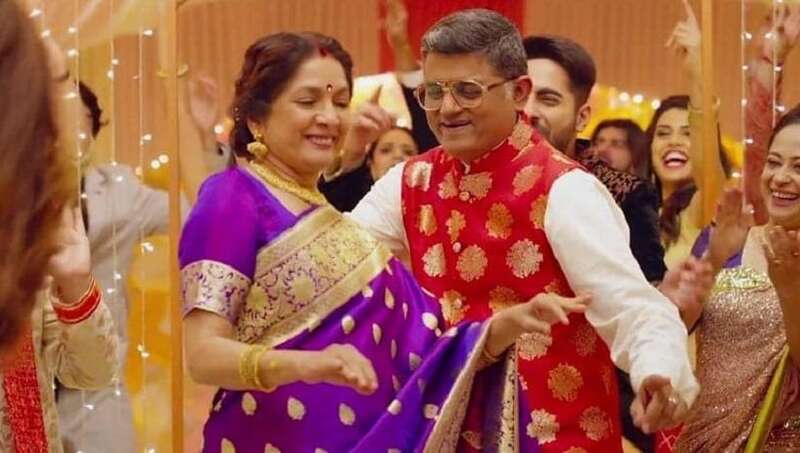 I was informed by the development team that when Ms Priti Shahani (Aman’s Boss at that time) approached director Amit Sharma to discuss the possibilities of making Hum Do Hamaare Chaar, he claimed that he had been developing a similar script with his writers. What was odd was that as far as we knew, Amit was the prospective director all along, since Aman would often mention that he has been keeping Amit posted on the development of the script. I am not insinuating anything here, but the sequence of events seemed pretty odd at that time, for obvious reasons. Maybe this was all a big coincidence. One can never know! What I know for sure is that at that point of time, mine was the first registered story (out of the three writers credited for the story) on this subject. Did you try to get in touch with Junglee Pictures regarding this? What was their response? Yes, I did. While I was still reeling under the shock, I met Priti (and team), who apologised to me and without mincing words, agreed that whatever happened, shouldn't have happened. But since Amit would anyway go and make the ‘said’ film with some other studio, if not Junglee, the studio is bringing him on board for directing the film. I requested Priti to at least make sure that I get the (joint) story credit for the film since the screenplay was clearly being developed with other writers. Priti told me that she had already discussed this possibility with Amit and that he had refused to give me any credit whatsoever and that she had no choice. Now that’s what broke my heart. Because what was happening here was unethical at so any levels. That’s when I put my foot down and wrote to the development team that if they use anything from my story in the film, they will have to credit me for it. I had to eventually reach out to the top boss of the organisation to intervene and help me get justice. And I think that ruffled many feathers and that’s what I am being persecuted for till this date. Were you finally given credit for the story of Badhaai Ho? After I protested over email, I was immediately sent a termination notice (for two films that I was writing for Junglee) and asked to return all the money that I had been paid on the approved work so far. I was so sick of litigation at this point that I did not want to go into another one to enforce my rights. I told them that I wasn’t returning a single penny because that was my hard-earned money on approved work and they couldn’t legally make me do that. However, I did sign a (mutually agreed upon) termination agreement with Junglee, which had a clause where Junglee was supposed to give me the story credit if they used my work. And that was the clause that made them give me my credit, and not the good faith, in which they are claiming they accorded me the credits. No one in this industry gives you credits in ‘good faith’, especially to a writer. For all practical purposes, I was the first hired writer (by Junglee) on this project and that’s why you see my name in the credits, on the poster and on the trailer. You have watched Badhaai Ho. To what extent do you think the story of the film is similar to yours? 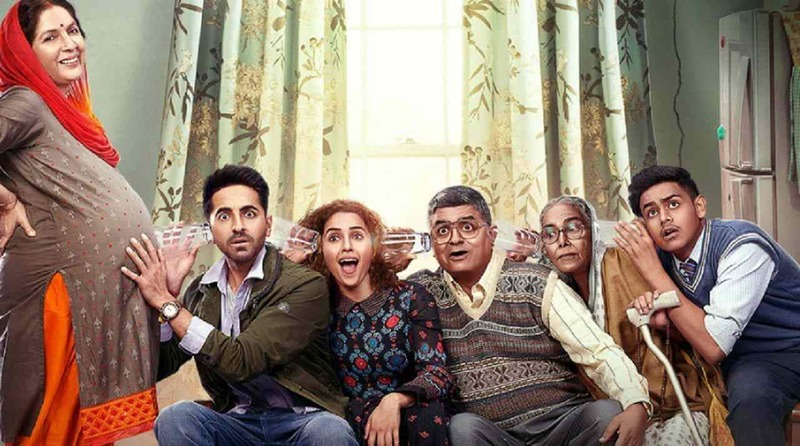 I have seen Badhaai Ho and I feel that the story premise – while set in a different universe – is essentially the same as mine. The screenplay is substantially different. What exactly happened with the nomination of Best Story for Badhaai Ho at the Filmfare Awards this year? I woke up to congratulatory messages from friends and well-wishers on the morning of 13 March, 2019 because I, along with the other story writers, was nominated for ‘Best Original Story’ for Badhaai Ho for Filmfare Awards... until it was unceremoniously removed, without any explanation whatsoever. Ever since I wrote a Facebook post about the same, I have been receiving emails from various award forums, which have told me that they were categorically asked to remove my name from the nominations by the Junglee Team despite a legit credit in the released film. What steps have you taken after you learnt that your name has been removed from the nominations without any explanation? And what do you plan to do about this subsequently? I have approached The Screenwriters Association, which has directed the parties involved to reinstate my name in the nominations. I am also in touch with my lawyer. It’s not about the award per se; it’s about the brazen injustice. You are an active member of The Screenwriters Association (SWA). Do you see instances such as the one you have faced come to the SWA on a regular basis? What, in your opinion, should be done about this? I have been associated with the SWA for the last couple of years and I happen to be the Chairperson of the DSC (Dispute Settlement Committee) which looks at the writers’ disputes. Writers struggle to get paid/credited all the time. In a lot of cases, they end up signing faulty contracts which render them powerless in front of the producers. Most of the contracts still have the draconian clause that says that ‘the writer will be credited at the discretion of the producer’. Which basically means that a producer, without giving any reason whatsoever, can do whatever he or she likes with the credit of the writer. And that’s pathetic. Then there are cases of plagiarism. And these are complicated cases. You have to do a thorough investigation including sending scripts for comparison before you arrive at a decision. And there is a strict protocol in place for the entire process. We also have an in-house legal officer who advices us on all the cases. We have observed that a lot of time, these disputes arise due to inflated egos. The same people who were best friends once cannot tolerate each other any longer. Such is the nature of collaborative work. The Screenwriters Association has recently announced a Legal Aid Policy to help its member screenwriters fight their legal battles related to copyright infringement, breach of confidentiality, payments and credits. This is a step towards the SWA’s commitment to help its members defend their intellectual property, and get their due credits and remuneration.